It’s the end of the day and you notice that your Windows Phone has just a sliver of battery life left according to the battery indicator. How can you conserve that precious battery power until you get into your car or home to charge it again? Easy, just remove some Live Tiles. Like applications that are running in the background, Live Tiles use up power by regularly using your 3G antenna or WiFi connection to keep information in them up-to-date. Logically this makes perfect sense as they are after all “live” tiles. So removing some of them can help cut down on the battery consumption your phone is using in a pinch. 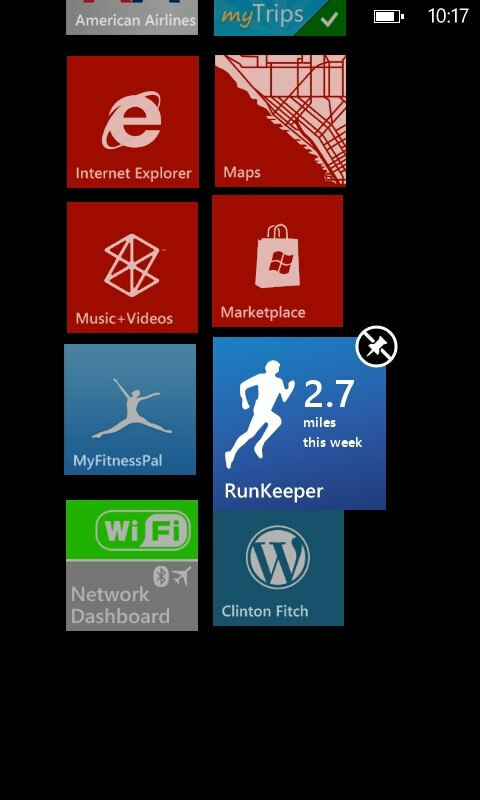 To do this just tap-and-hold the Live Tile you want to remove until it becomes larger and the other tiles on your Start screen drop back and dim. Tap the small no-pushpin icon in the upper right corner of the tile and it disappears. Once you get to the car or get home and are charging your device again, you can add the tiles back simply by going to the apps menu, tap-and-hold the app again to get the app menu and select Pin to Start from the menu.